Hello there folks, Jerm here with another World Cup Bid update. These are very exciting times here as members of the USA Bid Committee will travel to FIFA Headquarters in Zurich Switzerland this week to officially hand over all documentation to soccer&apos;s governing body ahead of the December 2, 2010 vote to determine which country will host both the 2018 and 2022 FIFA World Cups. The Bid Book is the official proposal and corresponding materials required by FIFA for a nation to be considered as the potential host for either the 2018 or 2022 World Cups. A five-person delegation will present the book to FIFA President Joseph "Sepp" Blatter and FIFA Secretary General Jerome Valcke in a fifteen-minute ceremony at 4:15 local Zurich time. 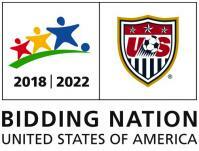 US Soccer Federation President and Chairman of the USA Bid Committee Sunil Gulati, will hand over the bid alongside Bid Committee Executive Director David Downs and U.S. captain Carlos Bocanegra. FIFA is scheduled to make technical inspections of the bidders from July to September. There are of course some notable events leading up to the handing off of the bid to FIFA though. This Wednesday, Bid Committee Executive Director David Downs and Bid Committee Board Of Directors member Spike Lee will be on ABC’s Good Morning America, probably around 8:30 a.m., displaying the Bid Book for the first time on TV! This will be the last time before it goes straight to FIFA. Now if you are thinking that there is nothing you can do to help support the bid process, think again! The best way to show your support for the bid, if you haven&apos;t already done so, is to head over to www.VisitTampaBay.com/WorldCup, or www.GoUSABid.com/TampaBay, and sign the petition to show your support for Tampa Bay and the USA for the year 2018 or 2022! Now remember that this Friday to show support for the handing over of the Bid, we are going to need all of the Twitter love and support we can get with everyone using the #GoUSABid hashtag. For details about the giveaways and more info, check out my blog post from yesterday, and also stay tuned throughout the rest of the week for additional updates. I can&apos;t stress enough how much we need everyones support on this guys, so pass this post along to your friends and help get the word out! That&apos;s all from me for now, but stay tuned in for more updates on Tampa Bay Sports related events and things to do in Tampa Bay!